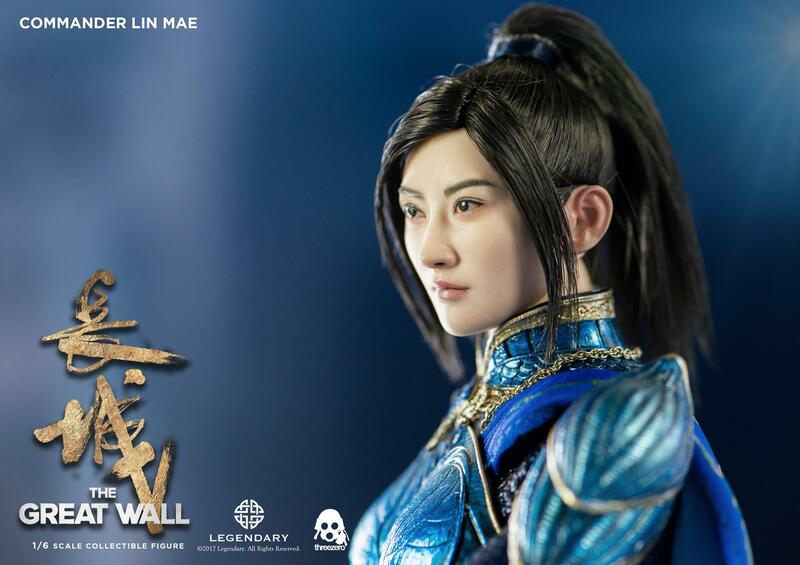 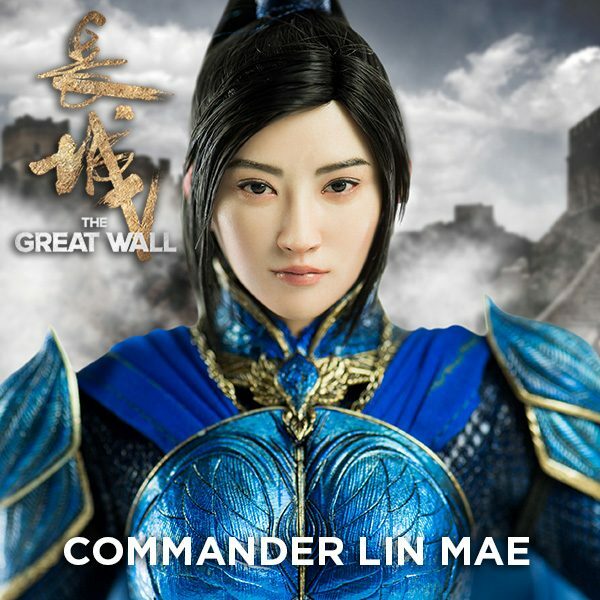 1/6 scale Commander Lin Mae collectible figure, continues our “The Great Wall” movie license, is available for pre-order now. 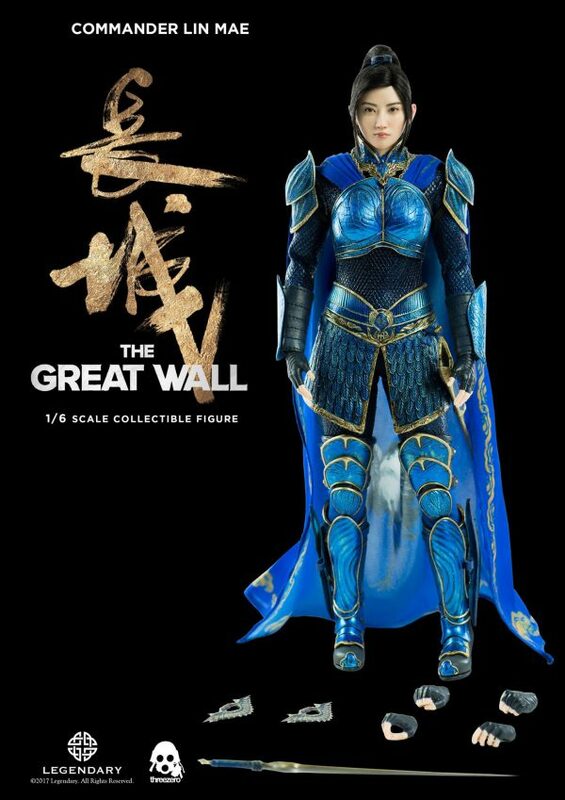 Collectible price at threezero Official Website is USD168 / HKD1310 with Worldwide Shipping included in the price. 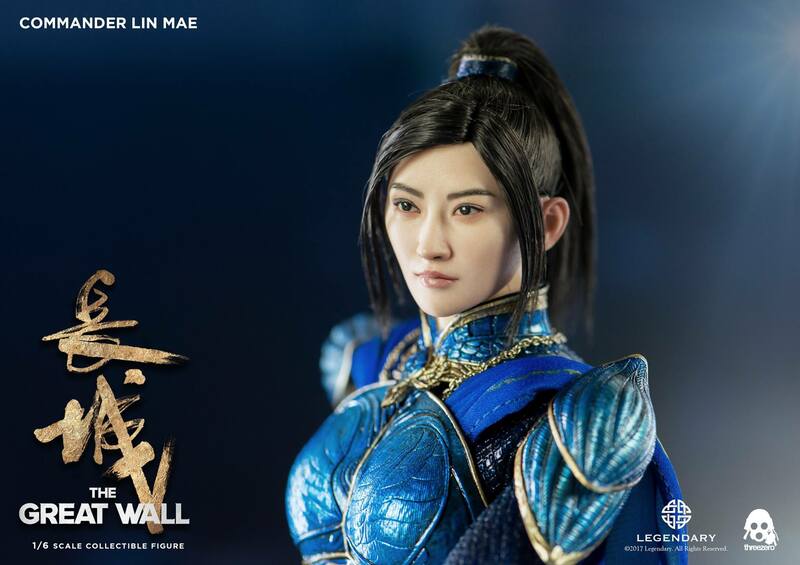 Commander Lin Mae collectible figure stands approximately 11”(28cm)tall and features highly-accurate life-like likeness to Jing Tian (景甜) as Commander Lin Mae in “The Great Wall” movie. 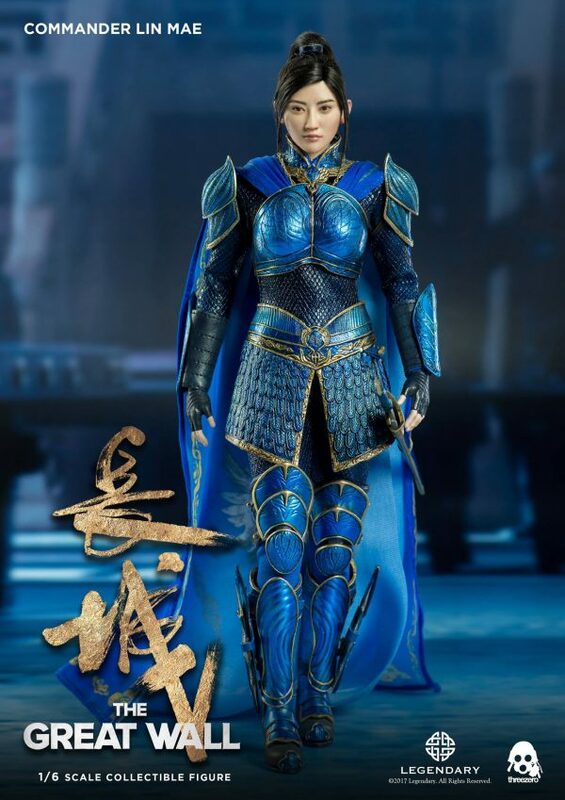 Collectible features realistic synthetic hair, comes with tailored clothing and highly detailed armor outfit with paint application simulating metal armor and weapons. 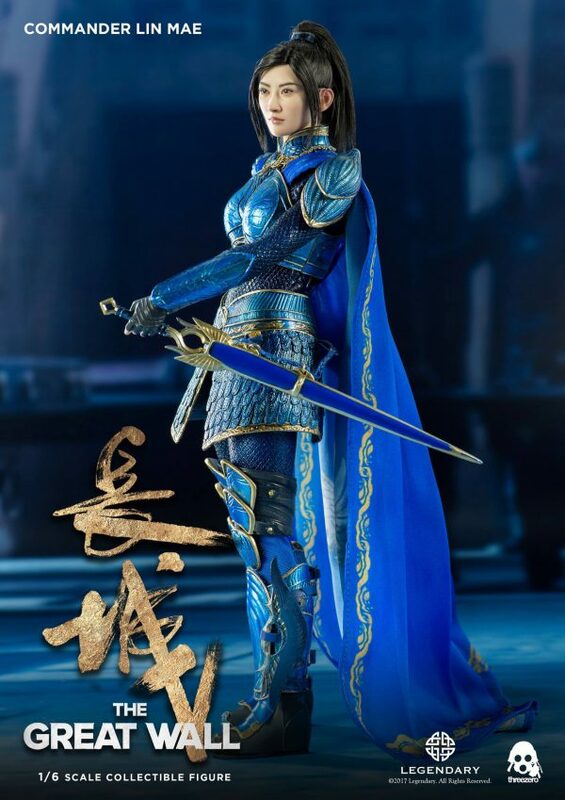 Figure comes with Sword with Scabbard, Two Fan Blades with Scabbard, and Three Pairs of Exchangeable Hands. 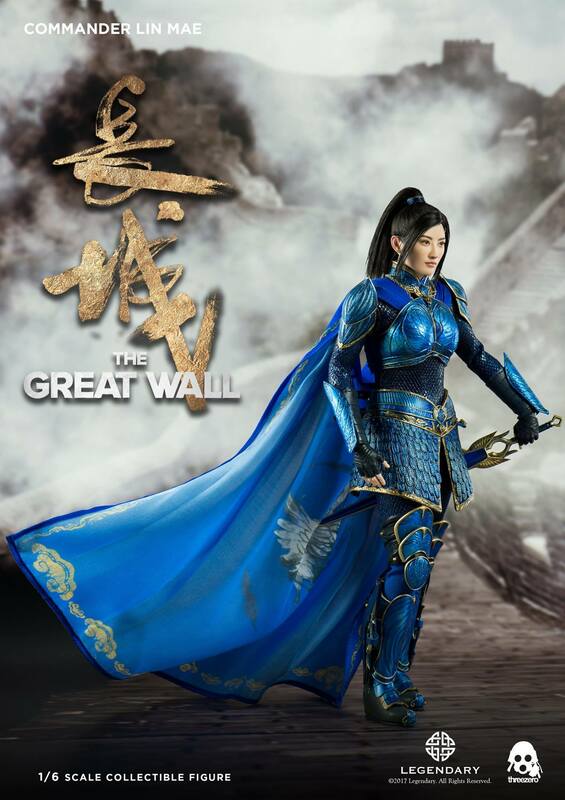 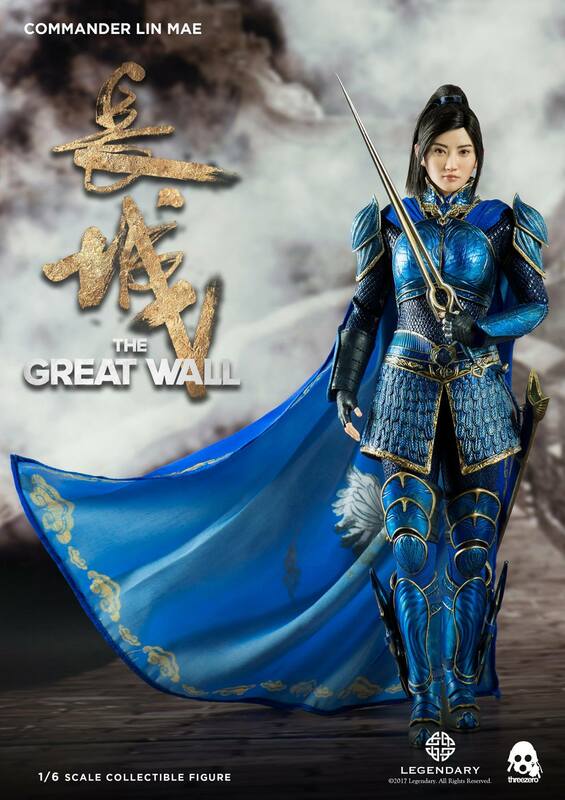 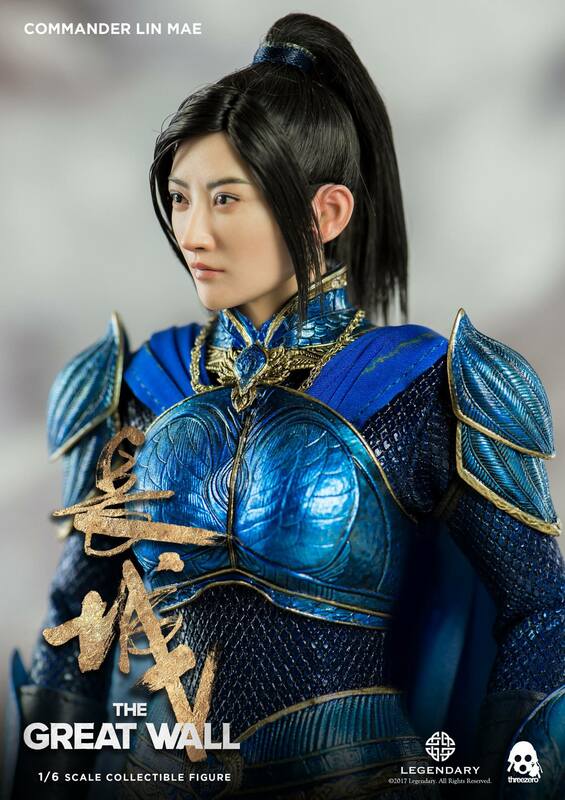 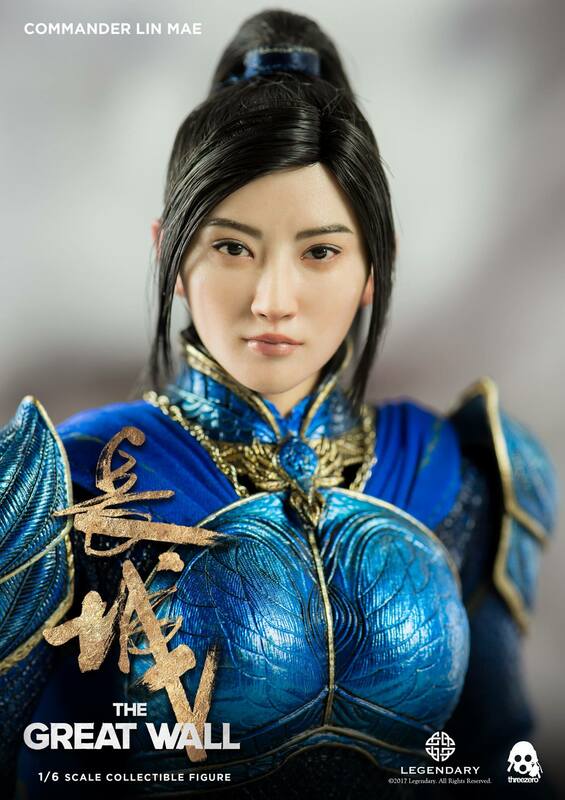 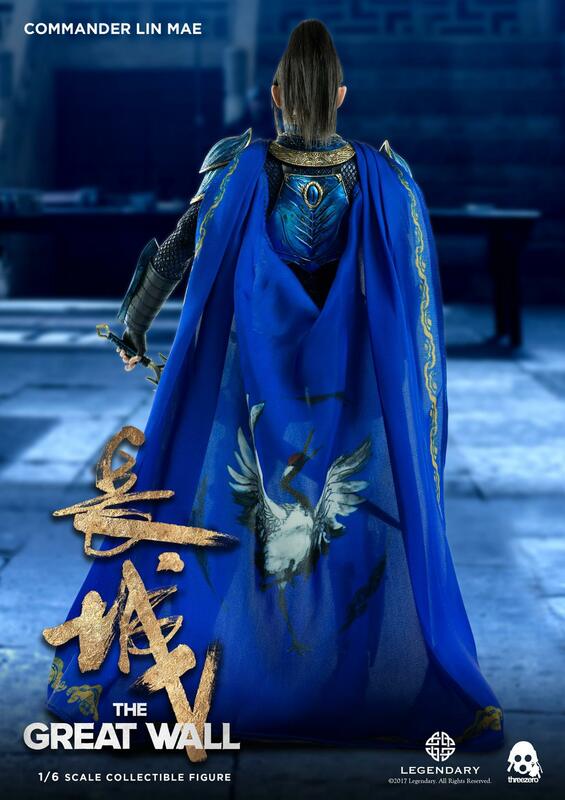 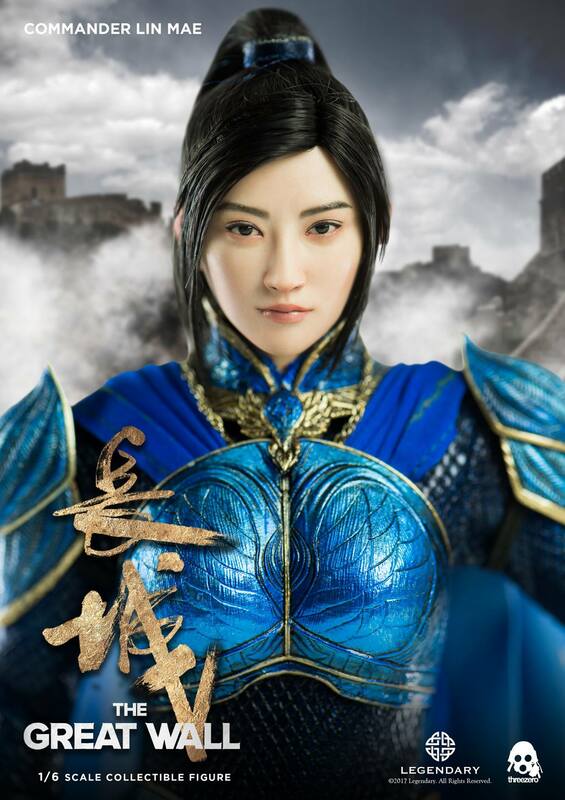 Highly detailed figure featuring life-like realism that is authentically crafted with the likeness of Jing Tian (景甜) as Commander Lin Mae in the “The Great Wall” movie. 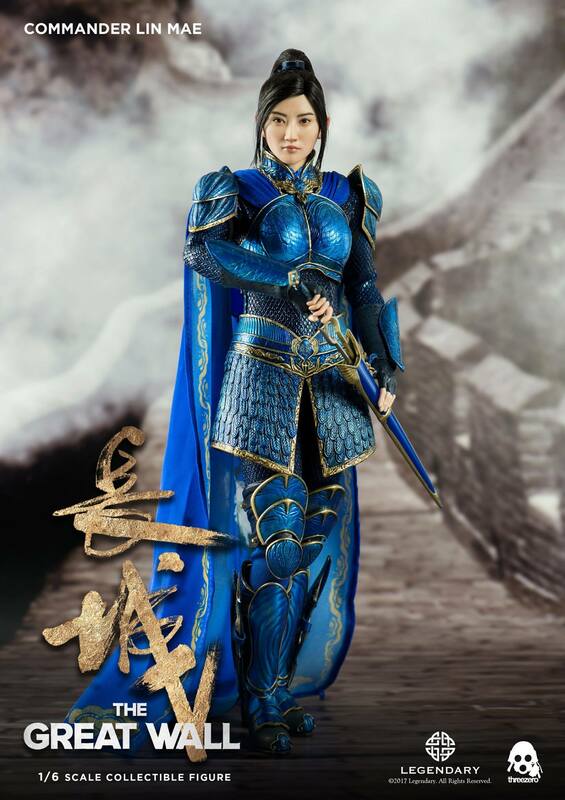 11” (~28cm) tall, articulated figure with tailored clothing, employing finely detailed paint application simulating metal armor. 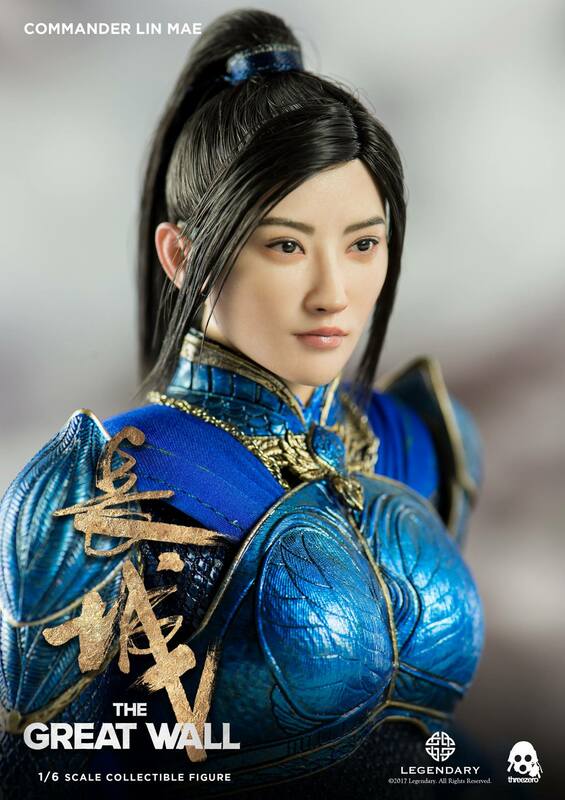 Black synthetic hair implantation. 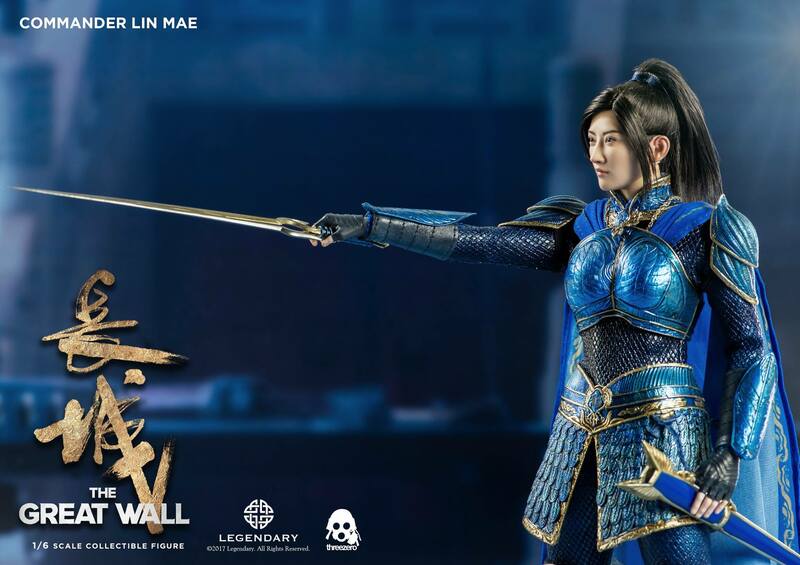 Fan Blades with Scabbard x 2. 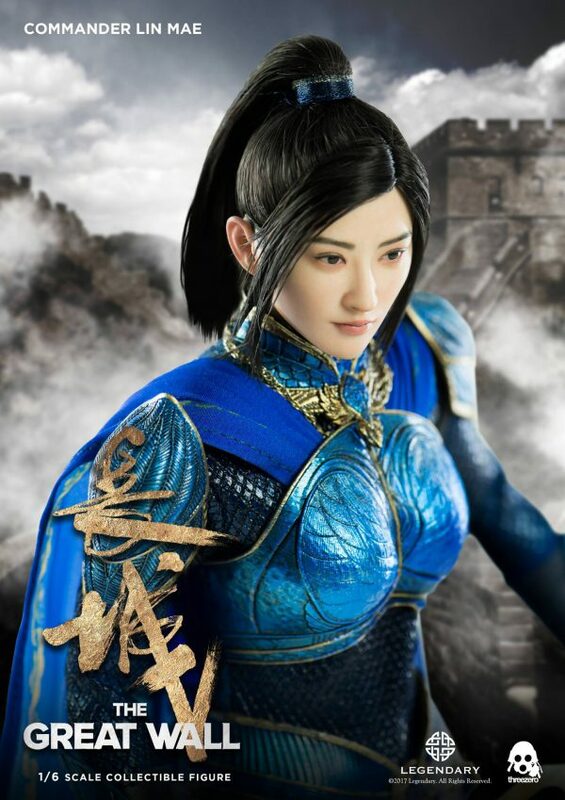 Your so beautiful,the earth i like you. 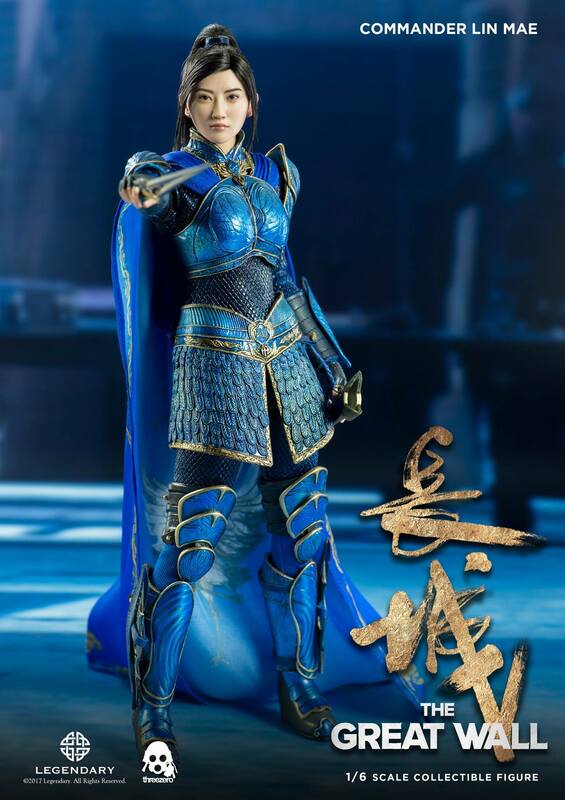 Maybe you could look up in our distributors about the availability.